Spring may have sprung but the annual influx of properties to Rotorua's real estate market has yet to blossom. While the latest Quotable Value figures continue to paint a rosy picture for local house values, stock levels remain very low, leaving residents who are keen to sell with limited options. In the past three months, the average value of a Rotorua home has increased 2.6 per cent and now sits at $435,812. The increase outstrips growth in Tauranga with a 1.4 per cent increase for the same period with the average current value of a Tauranga house $709,339. Harcourts Rotorua sales consultant Hielke Oppers said there were about 250 houses for sale in Rotorua. "At its lowest I think it was about 220 to 230, so we're not too far off that," Oppers said. "We generally see lots of people bringing their properties to the market in spring but, the way things are now, there is nowhere for them to go. "Sellers' concerns are that if they do list and sell, there will be nothing to move to." Oppers said while a number of subdivisions were coming to the market, they were not an immediate fix. "Perhaps in 12 months time we will see a difference but I expect the market will remain tight for the next six months. "There are still more people arriving in Rotorua than leaving and it's that population growth we are trying to meet." Simon Anderson, the chief executive of Realty Services, which operates Eves and Bayleys, said the average value of a Rotorua home had seen incredible growth over the past 12 months. "We are seeing it slow down, although 2.6 per cent over the past three months is still very positive, especially considering those three months were winter months," Anderson said. "With the arrival of spring we are starting to see good inquiries and a lift in properties to the market." He said under the Eves umbrella, Rotorua had seen more homes being listed. "Maybe there are people reluctant to list their home as they are not confident of finding another property but obviously, once they make a move, that's one more house to sell and more will follow suit." He described the Rotorua market as positive. "This time last year we were coming off the back of a wet winter and elections but this year that is not the case. The market looks positive." First National Rotorua principal Anne Crossley described the market as "more of the same". "None of the market drivers have changed in Rotorua," Crossley said. "We need a new subdivision or two and, until we get that, demand will continue to outstrip supply. "People want to live in Rotorua so we will continue to see end-on-end increases. That may slow, but it will not stop increasing." Crossley said there had not been as much of a spring lift as she would have liked, although there were a few more homes on the market. "I believe it is most likely that new homes coming on the market are from people who already own home in Rotorua and want to remain living in Rotorua. 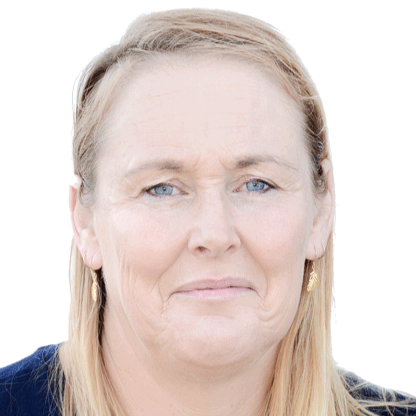 "But we also have ex-pat Rotorua people wanting to move home, young people wanting to buy their first home and people choosing to move to Rotorua. She said Rotorua had well and truly shaken off its ugly duckling reputation. Thousands came down to pay their respects at the civic service.